The Kodiak™ 700 EPS SE features an aggressive look with black alloy wheels, sharp Midnight Blue Metallic painted bodywork and special graphics. Kodiak 700 EPS SE’s Ultramatic® transmission features a gated shifter, dual- range (Hi/Lo) drive plus reverse gear and is the most advanced drive system available. Additionally, the gear ratio and Kodiak-specific CVT settings are designed to lower engine RPM and provide a smooth, easy-to-use power character. An automatic centrifugal clutch maintains constant belt tension for reduced belt wear and a sprag clutch provides natural all-wheel engine braking. The three-position On-Command® 4WD system lets you switch between 2WD, limited-slip 4WD and a fully locked differential 4WD all with the simple push of a button. Override button allows engine to make maximum rpm in full diff lock mode. 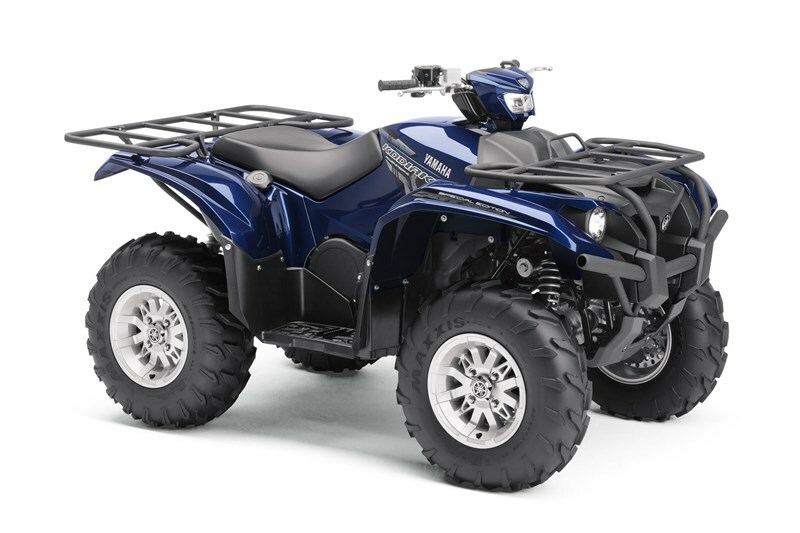 The Kodiak 700 EPS SE features a compact and comfortable chassis with fully independent suspension, exclusively-designed 25-inch Maxxis® tires and wide arc A-arms providing optimum terrainability, comfort and handling. The Kodiak 700 EPS SE features a powerful DOHC 708cc, 4-valve, fuel-injected engine with optimized torque, power delivery and engine character—ideal for smooth, quiet operation all day long. Mikuni® fuel injection means easy cold starts and flawless fuel delivery in nearly any condition. Kodiak 700EPS SE’s Ultramatic® transmission features a gated shifter, dual- range (Hi/Lo) drive plus reverse gear and is the most advanced drive system available. Additionally, the gear ratio and Kodiak-specific CVT settings are designed to lower engine RPM and provide a smooth, easy-to-use power character. An automatic centrifugal clutch maintains constant belt tension for reduced belt wear and a sprag clutch provides natural all-wheel engine braking. 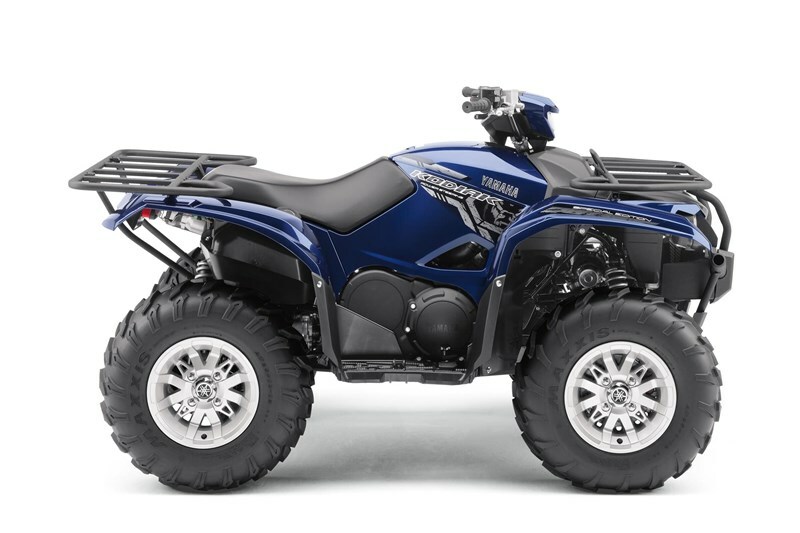 Yamaha’s peerless Ultramatic transmission runs through a five-position shift lever with High, Low, Neutral, Reverse and Park gates—for positive and precise transmission operation. Exclusively-designed 25-inch Maxxis® tires provide precise steering, optimize comfort and maximize available traction. 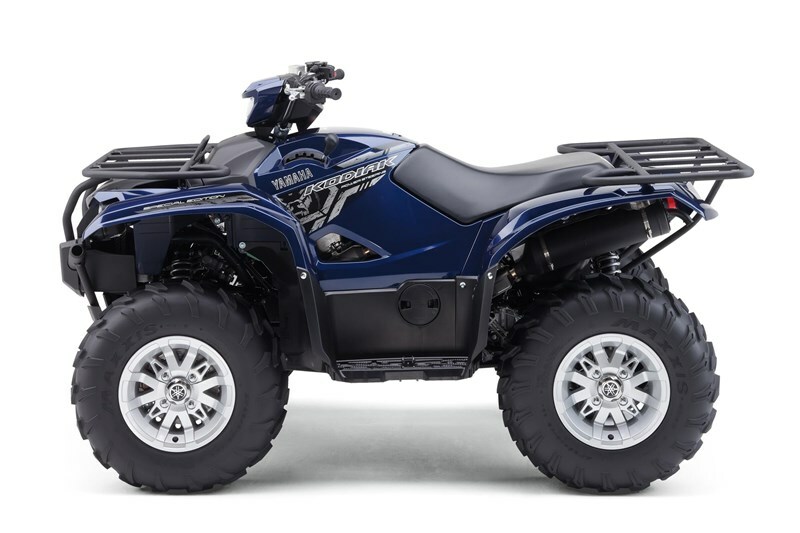 The Kodiak 700 EPS SE offers 10.8 inches of ground clearance and full-length composite skid plates to deliver maximum underbelly protection for a wide variety of terrain. Center-mounted, heavy-duty two-inch receiver comes standard and can tow more than 1300 pounds.